According to epidemiological studies, 18–26% of the Austrian population suffer from sleep disorders; 80% of them have had these problems for more than one year, 50% for more than 5 years. Still, only a minority (7–35%) seek medical advice. 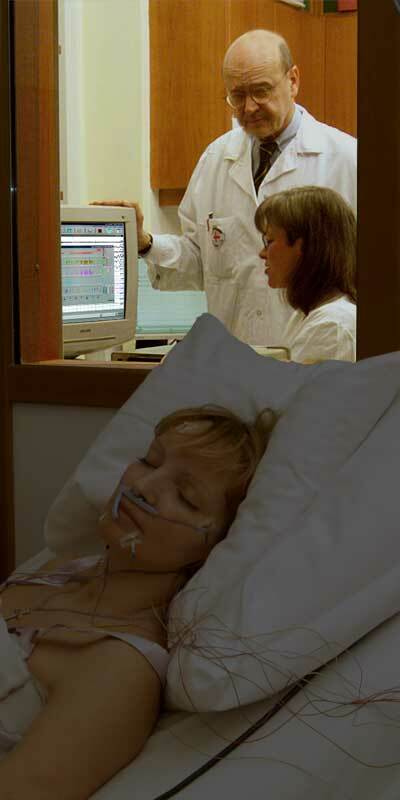 In sleep–disturbed patients health problems occur more frequently. They contact their GPs and are hospitalized two times more often than normal sleepers. Sleep-disturbed patients also suffer more often from mental symptoms, such as anxiety or depression. They are often tired and sleepy during the day and show deficits in concentration and memory as well as reduced performance at work. They have seven times more accidents at work and 2.5 times more traffic accidents. Their quality of life and last but not least their life expectancy are reduced. Sleep disorders encompass a variety of aberrations of sleep from normal values, e.g. concerning its quantity, quality, integration in the 24–hour sleep–wake rhythm as well as restfulness and the sleeper’s well–being and performance the following day.